Starting with the song “I’ve Been Working on the Railroad”, radio listeners were taken to a little slice of Broadway or out to the opera. The show featured shortened versions of Broadway musicals and operettas written before 1943. Shows like The Mikado, Anything Goes, and No, No Nanette. The show was hosted by and starred Gordon MacRae who was one of the 1940s and 1950s most recognized singing actors. You might remember MacRae from some little movies like Oklahoma and Carousel. 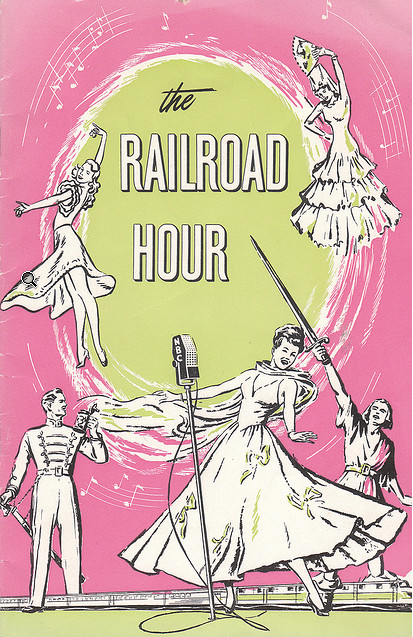 On The Railroad Hour, he played all of the male lead parts with female guest stars like Dinah Shore, Dorothy Kirsten, and Jeanette MacDonald playing the female lead. As previously noted, the shows were shortened versions of Broadway shows, musical dramas,and operettas. 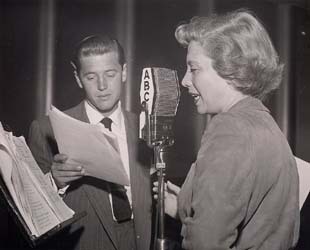 The scripts for the radio show were written by Jean Holloway, Jerome Lawrence, and Robert Lee but the real focus was of the show was the music. Music by people like George Gershwin, Jerome Kern and Rogers and Hammerstein. Occasionally, original music was worked into the schedule and extra special guest stars made appearances like Margaret Truman. Every December there was a review of the years shows. At the end of each show, MacRae and the weeks leading lady talked about the next weeks show. 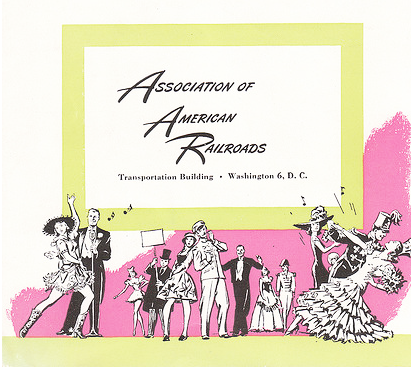 The Railroad Hour was sponsored by the Association of American Railroads (AAR), a trade association dedicated to the promotion of the railroad industry. There were lots of railroad references on the show. It began with the announcer, Marvin Miller, saying “Ladies and gentlemen, The Railroad Hour” along with lots of train whistles, steam, and other train noises followed by “And here comes the star-studded show train!” with the theme song, I’ve Been Working on the Railroad. The show closed when Miller gave the “All aboard!” and the show train pulled out of the station.